Exciting news to many of us here in Oklahoma. 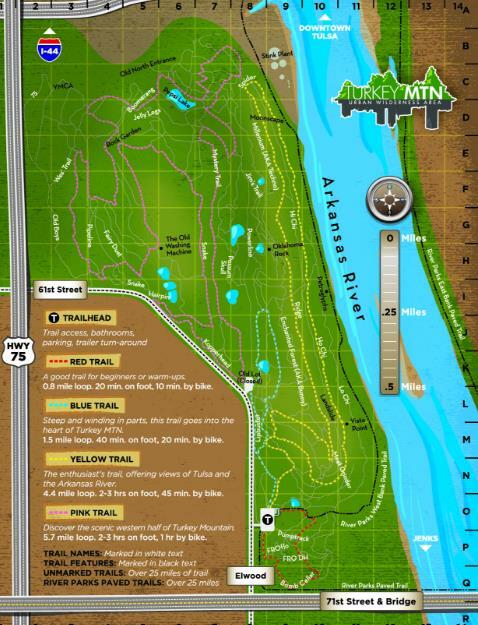 The National Park Service announced the designation of Turkey Mountain’s Red, Blue, and Yellow trails (about 7 miles total) as part of the National Recreation Trails and will be added to the National Trails System. 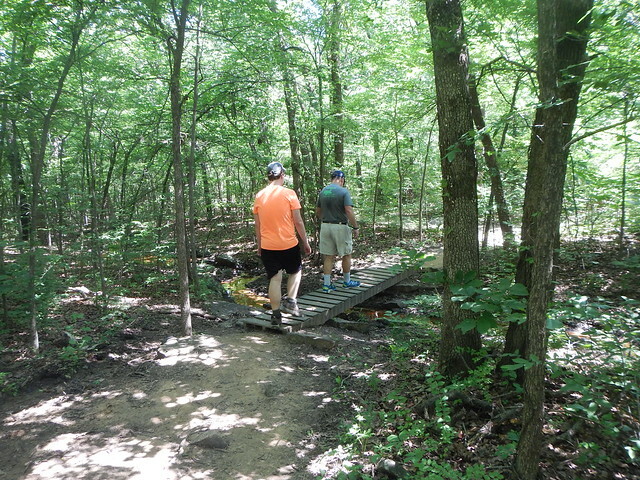 The announcement comes just in time for National Trails Day. No, this doesn’t mean that the Feds are coming in to take over the trails, the designation recognizes existing trails built and maintained by others. The National Park Service will provide special trail markers and add it to their web site. The main thing is that the designation provides additional credibility to those who are trying to get grants for Turkey Mountain. Kudos to the Tulsa Urban Wilderness Coalition who led the effort behind the scenes to get the designation. UWC is quite an organization. They started last year in response to a tone deaf effort by the City of Tulsa and Simon Properties to build a cheesy outlet mall on Turkey Mountain. Thanks to the efforts of TUWC and other organizations, the community rose up in opposition and Simon is proceeding on building the mall at a more appropriate location. I was amazed, do you know how many times Oklahoman’s are successful in opposing bad development ideas? Very few times is the answer. So this is great news but the preservation of Turkey Mountain is still a process more than event. Steps are continuing to be made by both private and public entities. The citizens of Tulsa passed a bond issue to provide funds for the purchase of the proposed Simon Malls site. 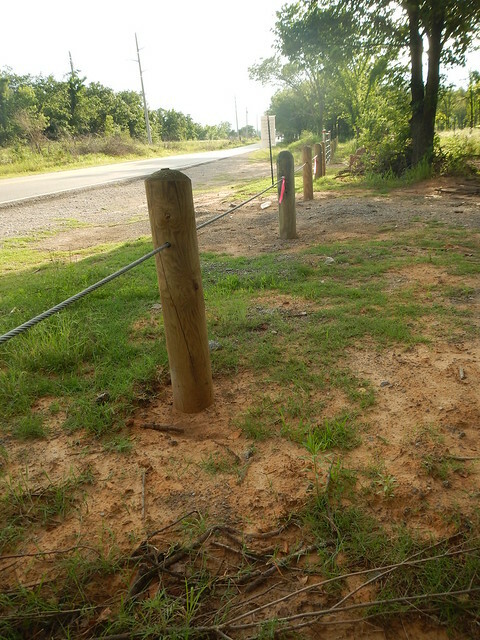 After the close on that purchase, the River Parks Authority, who administer the land, installed new cable and post fencing to keep vehicles off that property. The vehicles were tearing the trails up and some of our fellow citizens were dumping their trash. So we have recognition from the Feds which helps but Turkey Mountain still needs lots of support from the community. Download a map and check the trails for yourself. Check out the Tulsa Urban Wilderness Coalition, get involved. 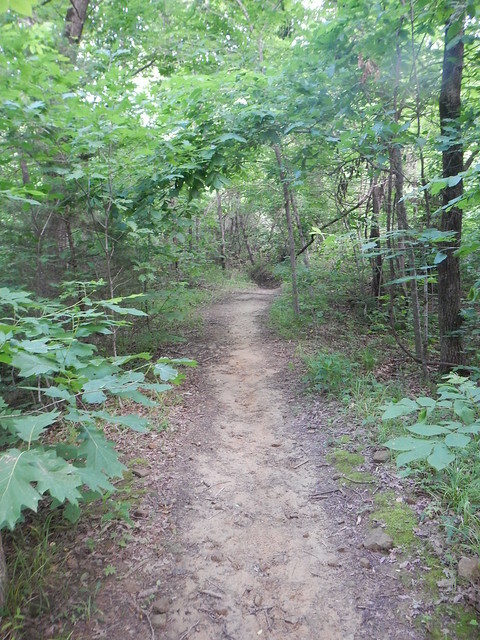 This entry was posted in Turkey Mountain and tagged National Trails System, Trails, Turkey Mountain, Urban Planning on June 4, 2016 by Alan Bates. This is such wonderful news! After seeing Turkey Mt through your eyes and stories of the community support it’s inspiring to know the efforts worked. Really glad the adjacent property could be added and the vehicular traffic stopped. 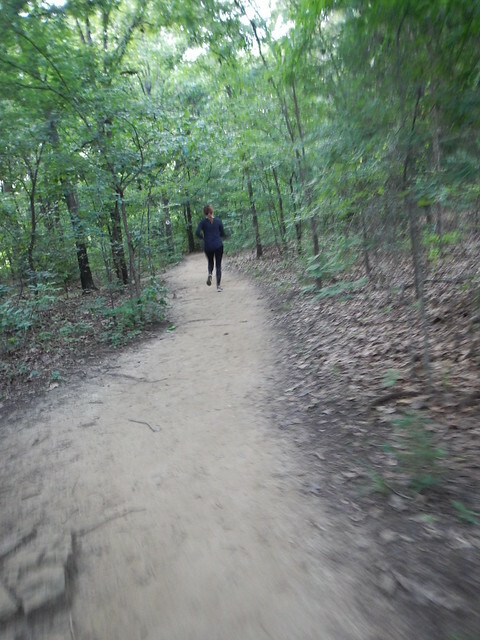 Keep on enjoying those trails. That is great news. I am so very happy for you all out there. 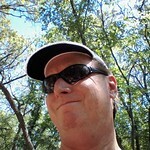 From your photos & the Map Yogi it looks like a wonderful place for trail walking & relaxing. I am so glad for you and all of your fellow Tulsans who worked so hard to preserve this beautiful mountain. Congratulations and keep up the good fight.